MAYAPUR – This year another abhishek of Lord Nrsimha took place over a two day period, oils on one day and milk products and sweet fruit juice liquids on the next. 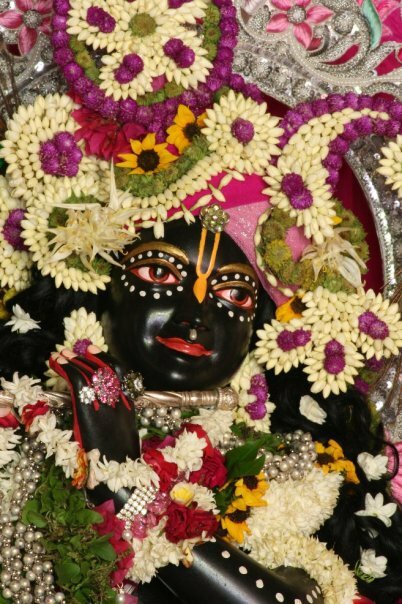 Buckets of offerings were poured onto the Lord, marking another year of protection for the work in Mayapur, what to speak of the Iskcon collective. One can not help but appreciate the satisfaction that Lord has had as the best of milk, yogurt, ghee, honey, and fruit juice happened to fall into His mouth and splash or ooze out the other side on such a hot humid day. A melodious kirtan filled the temple room honoring a Best Friend and Protector of the devotees. 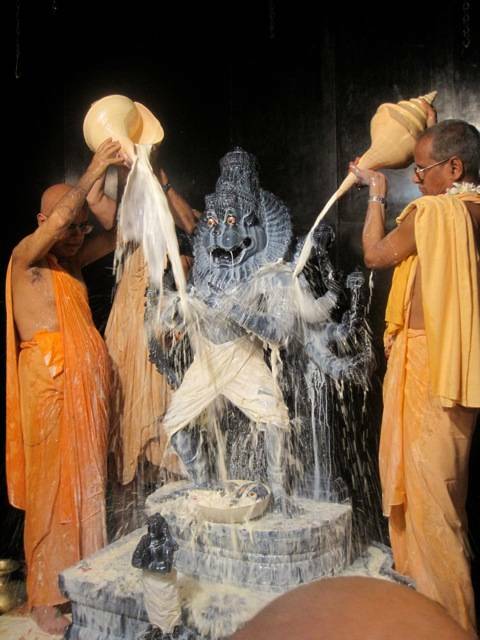 Sri Nrsimhadeva Bhagavan Ki Jaya!